Bring your digital images to life with this mini digital photo cube featuring an inbuilt memory that holds up to 32 pictures. At the back is a conventional photo frame and on both sides is a colour changing light to create a unique mood or night light. 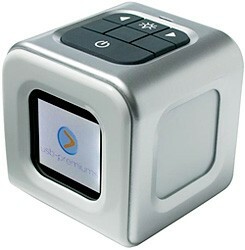 The included software and USB cable allows you to simply and easily upload your favourite family photo's into the cube.